Founded in 2001, San Francisco based Ashley Roi Jenkins Design styles and designs both furniture and spaces for clientele across the globe. Featured in publications and public media such as: San Francisco Chronicle, Los Angeles Times, Traditional Home, California Home and Design, 7×7, Decorati Access Magazine, KRON News, HGTV, and Daily Candy, Ashley promotes a philosophy that taste is "unique to personality and style is a matter of comfort." A native Southerner, Ashley first garnered influence in design as a teenager working for her family’s antique store in Houston, TX. Not to be molded by the past, Ashley took to the modern influences generated by summer internships at her father’s commercial real estate practice in Los Angeles, CA while studying design at UCLA. Subsequent work in Hollywood led Ashley to designing homes for movie studio moguls and sets featured on film before ultimately opening her own practice in San Francisco. In addition to her work, Ashley takes tremendous pride in mentoring interior design students from FIDM and was awarded the Outstanding Faculty Award in 2008. And has participated in San Francisco’s many charitable design causes such as: DIFFA for Elle Decor, Habitat for Humanity, the American Red Cross, Decorator’s Showcase for University High School, Ferragamo Doll House for the Sacred Heart School, and Rooms That Rock for Chemo. 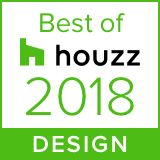 She has won awards for Best Remodel from Houzz, Best Bathroom from California Home + Design, and twice been awarded rooms in The San Francisco Decorator Showcase. Accolades that both validate and fuel a passion for filling space with character. As well as offering domestic and international clients interior design expertise, Ashley maintains her personal furniture collection, The Roi Collection, and provides full interior architectural services and product design. It is this multi-faceted ability that brings Ashley a sense of joy to her work and a range of talent to her clients.